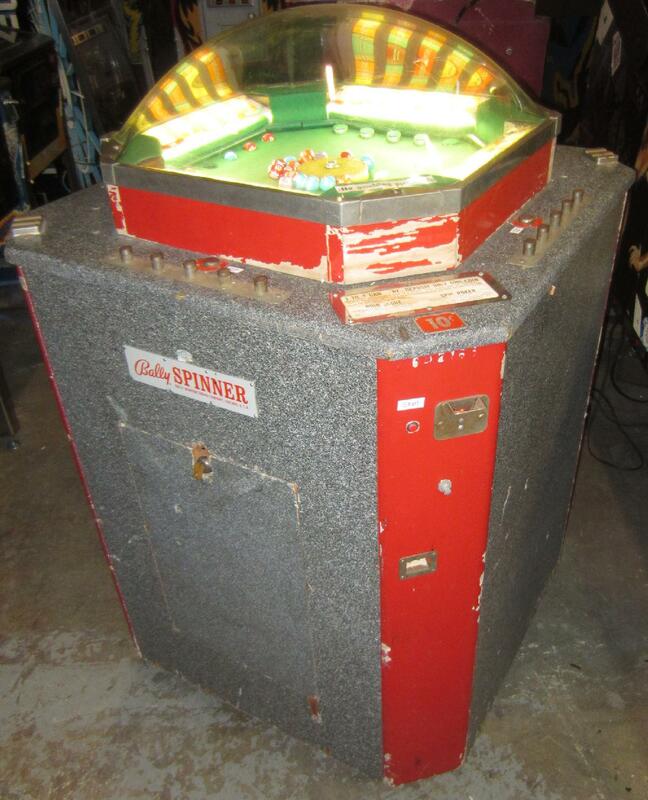 Description: Spinner, Bally #697, 1962, catch colored balls with the highest value in your five holes to beat the other players before the timer runs out. 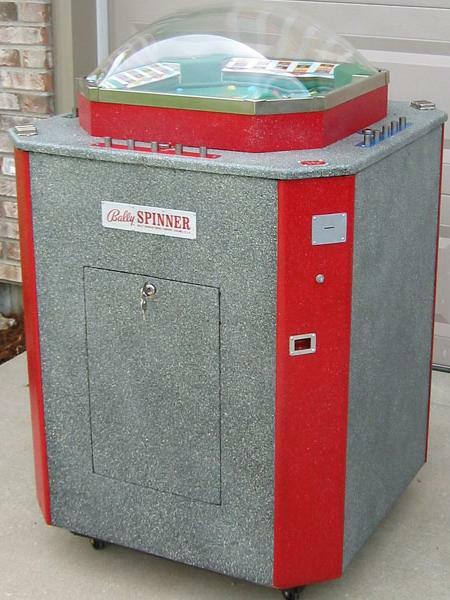 Center spinner turns and throws balls, and player can decide to keep any particular ball, or eject it out in hopes of a better ball. A timed game with a buzzer going off for the last 10 seconds of game play. Dimensions are 29" x 29" x 48". A pretty unique and small footprint 4-player game. 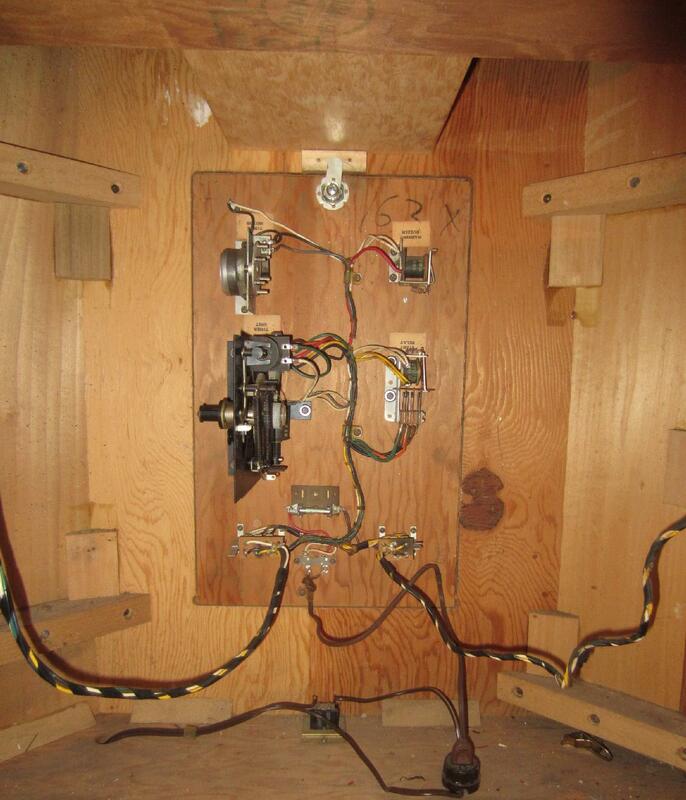 The game electrically is pretty simple, with just a stepper unit and a couple relays and a timer motor and spin motor. Mechanically it's fairly complicated though. 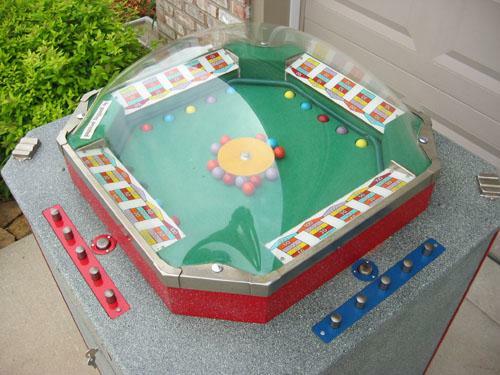 As the game resets, all balls are lifted out of the player's holes. Then the player must press the center red button to engage their player station. 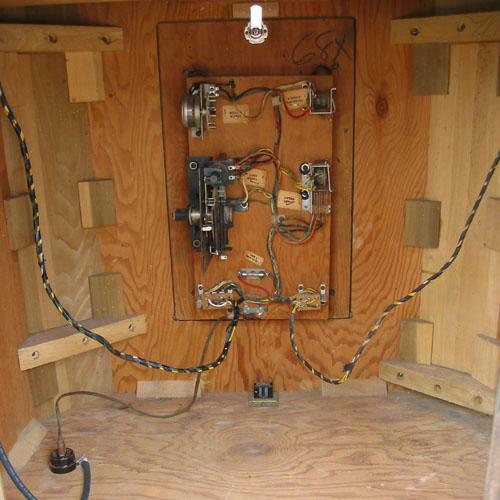 This lowers their hole posts, allowing that player to enage. 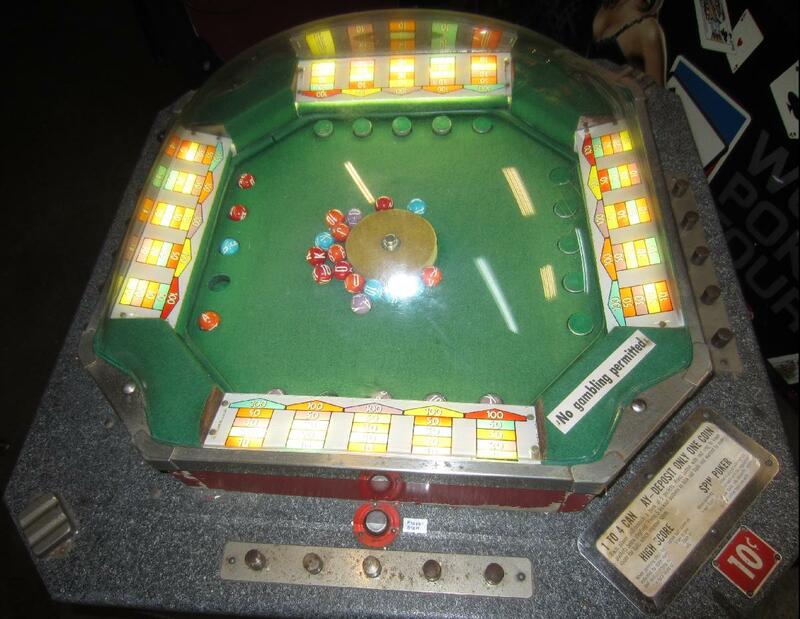 This way anywhere from one to four players can play at a time (though a one player game is really not much fun.) 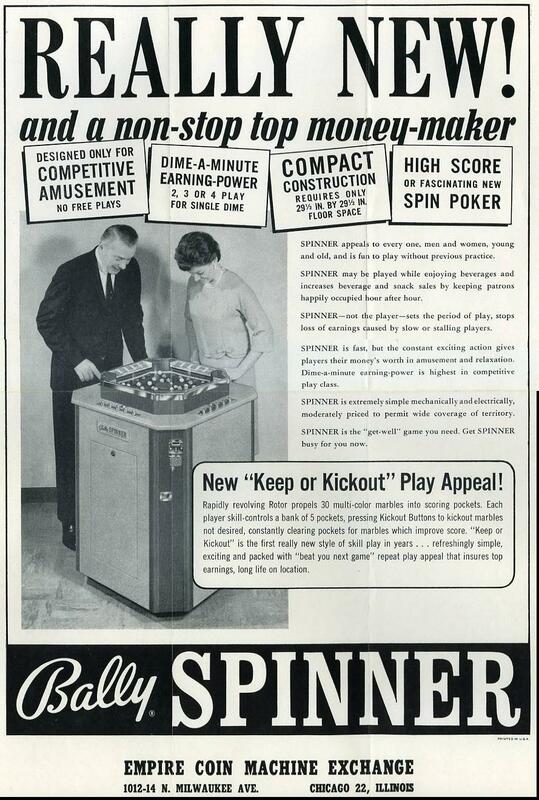 Note a single coin starts the game, and allows for one to four players (so a dime is all that is needed to play, regardless of the number of players.) 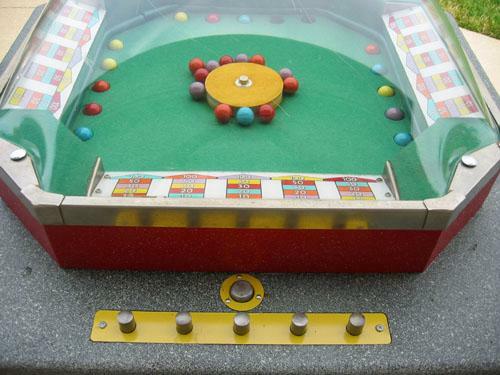 When the game ends the ball hole eject buttons no longer work, so the balls can be seen by all players and scores checked against each other. Artwork is available for the score cards here.